Macular dystrophy is a rare and serious genetic eye disorder that causes loss of vision, usually over time. The sensitive, professional staff at Dr. Bruce Coward & Associates – located in Belleville, Brighton, and Trenton – can help you recognize the early symptoms of macular dystrophy. Macular dystrophy – as described above – is a rare genetic eye condition that causes loss of vision. Actually, there are several forms of macular dystrophy, and all forms lead to damage of the macula cells of the retina. The macula controls a person’s central vision. 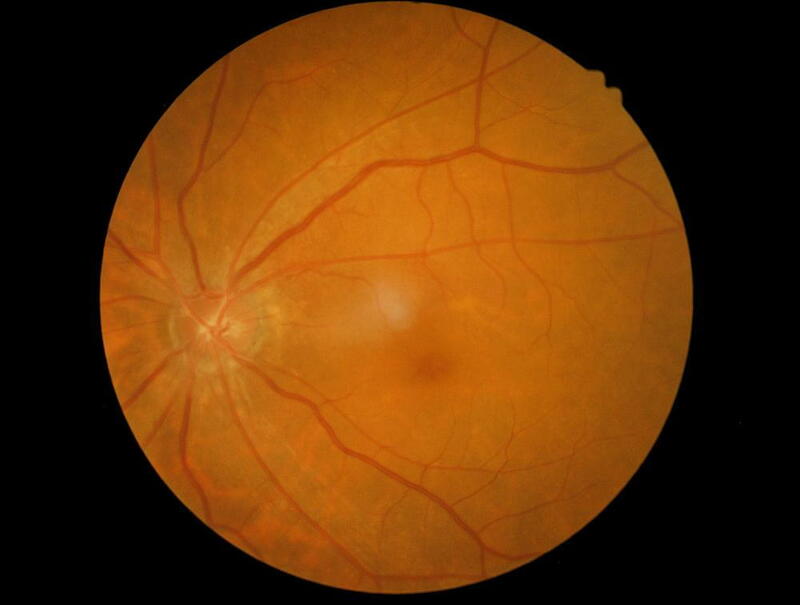 With macular dystrophy, pigment builds up in the macula’s cells. Over time, the pigment damages the cells essential to central vision. The early symptoms include difficulty seeing straight ahead or seeing details of objects requiring fine central vision. This can make performing daily activities such as reading and driving more difficult. Macular dystrophy in the early stage presents as a blurry and distorted central vision while the peripheral vision remains sharp. This decrease in visual acuity often has no clear cause – like cataracts or refractive errors. The sad truth is that there is no effective treatment option available for macular dystrophy right now. Our eye doctor can test you for macular dystrophy and assist with determining the exact form and stage of the disease. From there, we can discuss the possibility of corrective lenses to help compensate for the vision loss. Luckily, the vision loss associated with macular dystrophy generally develops slowly over a prolonged period of time rather than suddenly. In addition, the vision loss is not total, as the peripheral vision is left intact and entirely unaffected by this disease. There is also ongoing research into treatment options such as stem cell therapy and other cutting-edge techniques. You can schedule an appointment with one of our optometrists online now, or you can stop by/call one of our three Dr. Bruce Coward & Associates locations: Brighton (613-475-3900), Belleville (613-968-6560), or Trenton (613-392-6211).